Hopefully you’ll find it an improvement over the old one. As you’ve found the new site has the same web address as the old one. Addresses of individual pages on the site have changed, however. For the main pages, if you try to use the old address you will see a page telling you the new address and giving you a link to go there. Please let us know if you encounter any issues with the new site. Handles devices with small screens – such as smart phones – much better. It automatically adjusts to make the best use of available screen space. For example, the menu across the top of each page automatically contracts to a simple drop-down list if there’s not a lot of space available. Makes better use of available space regardless of which device you use. The new design is cleaner. It allows us to promote the ride on every page while providing more space for content. Allows you to change your newsletter subscription – or remove it – directly. You can now use the site to change your email address, for example. Brings all the Hayling Cycle Ride events together into a single event calendar. There are plenty of other minor improvements that we hope will make the site more interesting and useful to you. The old site required us to use an IT company to make changes for us – especially following each annual ride. That cost us money. This year one of our volunteers took over the job which saved money but made us entirely dependent on his expertise. The new site allows us to make changes without needing specific IT expertise. That means we can make our own changes without having to involve IT people. Even better, the new system for making changes is much more flexible than the old one. We can therefore present information and pictures the way we want. We can also spread the load when keeping the web site up-to-date. We can now send emails directly from the site so, for example, we have a simple method for sending a news item to everyone that might be interested. The new site uses WordPress as its foundation. That’s widely used by volunteer-run organisations. It’s likely that we have several riders and supporters familiar with making changes using WordPress. WordPress is constantly changing and improving. We can take advantage of that work – and it doesn’t cost us anything. WordPress also comes with a huge library of ‘plugins’. Bits of software developed by people round the world to enhance the basic WordPress offering. We are already using several plugins and we’ll be reviewing what’s available as new needs arise. WordPress is so widely used that most Internet Service Providers take steps to make sure it is easy to set up new WordPress sites. Should we ever have a reason to change our ISP, we can do so. We are still exploring what the new site allows us to do. If you have some ideas for how we can improve, please let us know. Introduced code to reduce exposure to malicious hacking attempts. All web sites are subject to frequent malicious attacks – ours is no different. Automatically check new newsletter email subscriptions to ensure they come from who they claim to be – and not a spammer. Use software that automatically checks new posts to the site to prevent spam attempts. Take routine backups of the site and the database entirely automatically. We keep our own backups and are no longer reliant on our ISP to restore the site should a problem occur. Click any of the above links to see more. I was pleased to hear some great news recently from regular rider Paul Clutterbuck. In 2013 Emsworth resident and retired IBM executive Paul raised £3,323 for his chosen charity Operation Smile. After first entering the Ride in 2005 (despite only having one lung!) he has raised nearly £25,000 over 7 rides – a phenomenal achievement. In the process he has become Operation Smiles s second biggest individual fund raiser in the UK. Paul’s story is typical; he was not a regular cyclist but entered the ride to raise money for a particular cause. 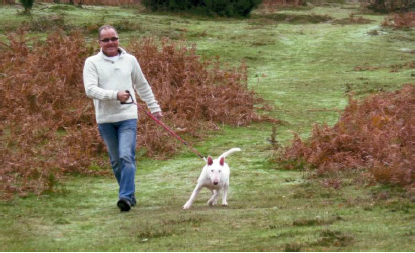 But then he got hooked and comes back each year for another week of this tough, achievable but above all fun challenge. Have you been considering entering the Paris to Hayling his this year? Could you be the next Paul? If so, visit our web site and let us know! In addition to the Paris to Hayling we are now taking entries for the ever popular Channel To Channel. Now in its 15th Year this looks set once gain to provide attractive to both those who cannot spare the time for a longer ride and for those who welcome the two days of practice prior to our July event. 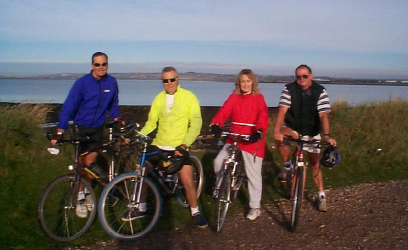 As previously reported, The Hayling cycle Ride will again support HOPEHIV’s London to Hayling ride. Last year over £22,000 was raised from this one day event and once again some of the money was appropriately used to equip local project workers with bikes! In Malawi as I have seen at first hand that there is a chronic shortage of local transport and this is hampered by constant fuel shortages due to lack of foreign exchange with which to pay for imports. In these circumstances these bikes are truly live savers! Visit the charities web site for more details of this worthwhile ride (www.hopehiv.org). It’s now official! We have gone back to our original name “The Paris to Hayling Charity Cycle Ride”. This reflects the fact that in 2014 we are truly going back to our “routes”. It may sound hard to believe but after 28 of our annual rides I can still get excited about the next one . Already I am looking forward to our return to Paris in 2014. Multi- Day Charity Rides involving the French capital or some other famous city or town are now very common but as far as we can establish we were the first ! And equally although by no means all entrants are now local , no other ride of this type has involved getting so many members of its immediate community “en masse a bicyclette”. 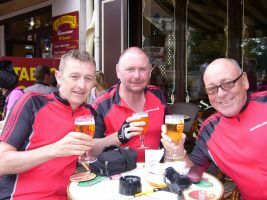 The ride from Paris and then in subsequent years to and from Paris has certainly provided a lot of people with a lot of enjoyment (yes and hangovers) as well as raising a great deal of money. It will be good to return to some of our old haunts next year as well as discovering some new parts France. One new aspect will be the fact that our Paris location is Montmartre. I am sure it will prove a fascinating and indeed lively place to stay ! If you have never done one of our rides before why not give it ago. The Paris to Hayling is not a race , you don’t have to be great cyclist (I can personally confirm that that) and it’s a really friendly atmosphere as , anyone who has done it will confirm that ! The One Way Ride (coach to Paris and then cycling home) is an ideal entry ride for anyone who want to try this sort of event for the first time. But if you are thinking of entering next year you should also check your diary for 2015 as I must warn you, the event does tend to become habit forming ! The story of record raiser Barrie Dawson is a good example of this. In 2000 having quite recently survived a really aggressive throat cancer he was passing a shop in Winchester and saw an advertisement for our ride. Although not previously a serious cyclist he signed up and rode to raise funds for throat and neck cancer research. He thought it would be a “one off” but to date he has ridden in 14 Hayling Cycle rides, and raised a staggering £59,000 !! While nobody else has matched his prodigious fund raising there are many others who likewise have entered as novices got “hooked” and come back year after year . Aside from cycling with enthusiasm and , his contribution to charity Barrie has always enjoyed the social side of the ride , stops at bars/cafes for a well-earned beer and of course our famed last night parties. It’s this combination of cycling, fund raising and fun which make our event so special. In our planning for next year we saw a need for updating our web site. In this committee member Lori Poore has as in so many aspects of the ride been critical but Lori and I have been greatly helped by the assistance of Andy Henderson. As those who are familiar with the Cycle Hayling web site can testify Andy really knows how to make a web site impressive. Of course Andy is also chairman of Cycle Hayling , an organisation which is doing great job. I have for a long time thought that the cycling infrastructure of Hayling was somewhat deficient I know many of my Paris to Hayling colleagues have shared that view. Indeed we have often said in the past that if it wasn’t for the obvious connection we would have thought twice about taking a large group of cyclists anywhere near Hayling !! It’s great to see an organisation tackling this problem and to be making progress . Further details of the 2014 ride will be made available at the Hayling Cycle Ride AGM and Reunion Party at Hayling Golf Club on Saturday November 9t. All past riders and support team members are welcome as well as anyone who is thinking if joining us next year. Full details of this event and of the 2014 ride area available on our web site (haylingcycleride.org.uk) or on Facebook. You can also enter on line via the web site. Various members of the Hayling Cycle Ride were delighted to again support HOPEHIV’s annual London to Hayling Cycle Ride. Over 70 riders set off from Wimbledon Common on Sunday 8th September. While the day started sunny the riders journey to the south coast, along an excellent Fred Dyer planned route was soon hampered by a repetition of very heavy showers. This type of weather leads to more punctures given that causes grit sticks to tyres and this was one of the major reasons why the support teams we supplied were rather stretched this year. Many thanks to Chip Carpenter /Mike Taylor and Chris McQuade/ Robbie Bushfield for their hard work and contribution towards the events success. There is a clear measure of the support teams efforts – none of them managed to grab a beer before late afternoon ! Mark Glen CEO of HOPEHIV has expressed his thanks for the Hayling Cycle Ride’s involvement : “We really appreciate your support. This has turned into a major annual fundraiser for us and we simply could not have done it without you” . Two years ago I personally visited Malawi and saw at first hand some of the great work that HOPEHIV are doing to give hope to thousands of young people who have been orphaned through AIDs I know the money raised this year will help many more . This a small charity with a very small staff and modest overheads that works with local African organisations to give small grants and loans to individuals so that they help themselves and their families by starting businesses and/or getting better education . Langstone Hotel’s offer to host the finish was really appreciate and they have already agreed to do the same next year when the ride will take place on Sunday 7th September.